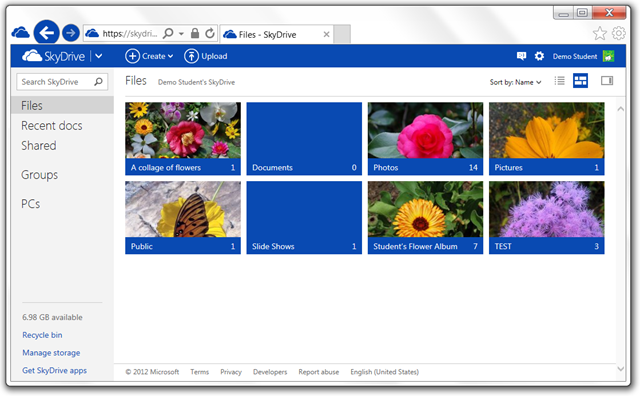 How do I choose the SkyDrive folders to sync with the desktop app? Right-click the SkyDrive icon in the notification area. Click Settings in the small menu. Click the Choose Folders button. 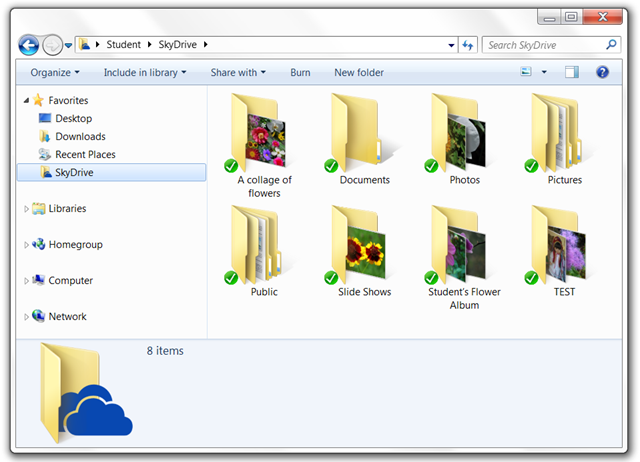 The SkyDrive folders will now be displayed with checkboxes in front. 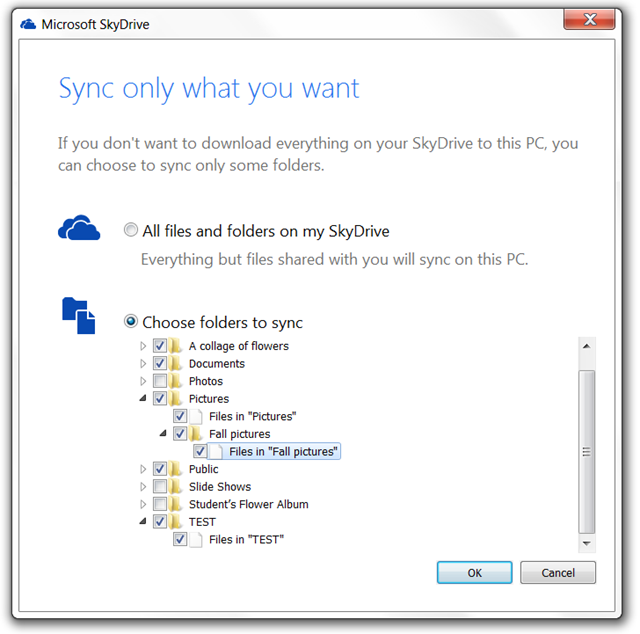 Uncheck the folders that you do not want replicated on your computer in the SkyDrive folder. 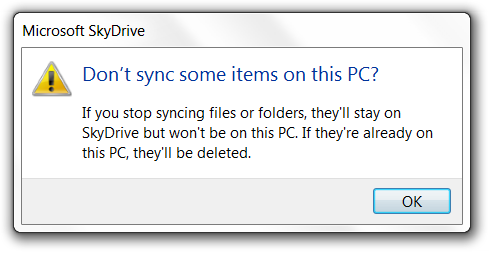 If you stop syncing files or folders, they’ll stay on SkyDrive but won’t be on this PC. If they’re already on this PC, they’ll be deleted. You can select root folder or sub-folders as you like. Make the selections. Checked folders will be synced. Click OK and click OK in the prior dialog. The changes will be made momentarily. 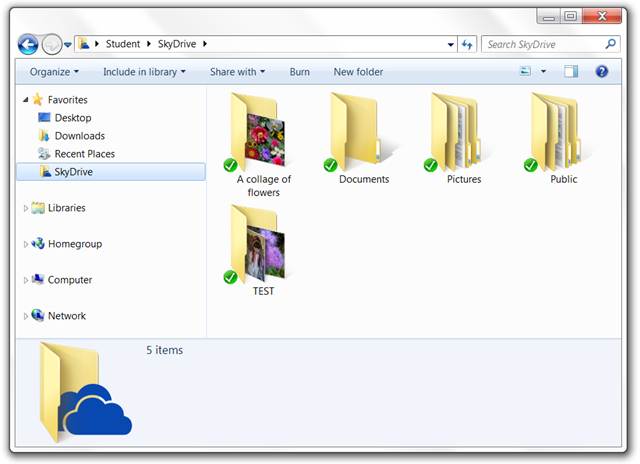 Here are some screen shots showing the SkyDrive folder before some folders were removed from syncing and after, as well as the – unaffected – online SkyDrive.